Advisors and their clients with sizable holdings of employer stock will both benefit from systematic share diversification of these positions. For the client it means reduced risk and peace of mind, and for the advisor it means additional assets under management. An effective way to overcome these “inhibitors to action” is to assist clients in developing an annual diversification strategy. This will provide for gradual dollar cost averaging out of a concentrated position and into a reduced risk portfolio. Taking periodic action called for by the strategy becomes an easy, or even automatic, decision once a strategy has been adopted. The recently updated “Share Diversification Analysis” in StockOpter.com was designed to assist advisors and their clients to interactively visualize the multi-year projected values of their owned/long shares and vested options compared to a diversified portfolio at various levels of annual diversification. Using the StockOpter.com “Diversification” dashboard, one simply enters a suitable diversification rate for the available shares. This will generate a five year projection of the value of the client’s investments held in company stock and vested options plotted against the value held in a diversified portfolio. For comparison, StockOpter will automatically produce alternative strategies by varying the annual diversification percentage. The following sample charts show three alternative diversification scenarios which include a “base case” of 10% and two alternative cases plus or minus 5%. These charts enable clients to quickly visualize whether an annual diversification rate is making them less concentrated. 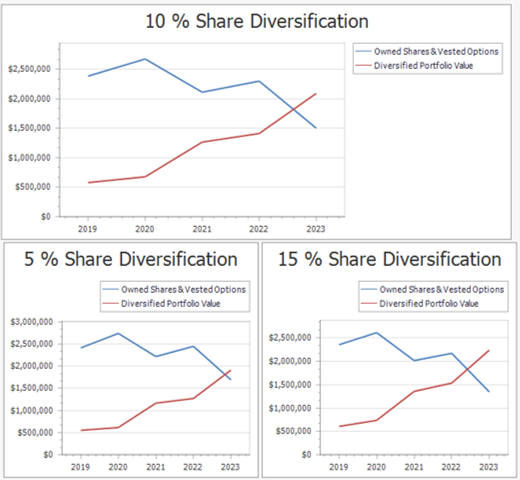 Using StockOpter.com's interactive dashboards one can easily illustrate different planning scenarios by altering the diversification percentage or the other assumptions (i.e. Current Stock Price, Stock Price Growth Rate, Tax Withholding Rate, Capital Gains Rate and Diversified Portfolio Growth Rate). 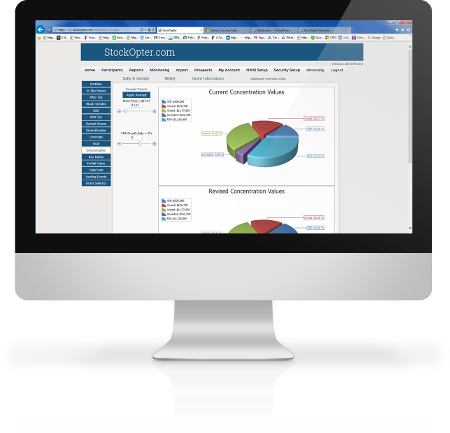 For advisors and clients that prefer to use reports, the updated StockOpter.com templates now contain a “Share Diversification Analysis” section that explains the methodology in detail and includes the three comparative charts. In addition, there is a table in both the dashboard and the report showing the approximate number of shares to sell each year and an estimated target price along with the calculations underlying the values plotted on the charts. In the example below, 10% per year diversification equates to selling 695 long shares in the first year and reinvesting the after tax proceeds into the diversified portfolio. Via this methodology, advisors and stock compensation recipients can explore different diversification strategies for their company shares and determine an appropriate course of action. 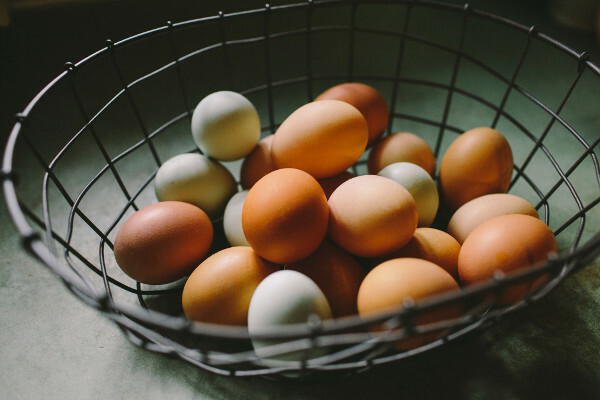 Most clients should concede that having a diversification strategy and updating it periodically will reduce the inherent risks of a concentrated position. They should also discover that these analytics combined with ongoing professional guidance makes it relatively easy to decide on an annual diversification percentage and determine price targets that will achieve their desired level of diversification over time. For a more detailed explanation of this analysis, refer to the article Understanding the StockOpter Share Diversification Analysis.